Get Ready for Ghost Shark! Everyone set their DVRs for the world premiere of Ghost Shark at 8 p.m. CST Thursday on the SyFy Channel. In a move that promised to make Sharknado look like a guppy caught in a wind tunnel, Ghost Shark features the undeniable genius of people being haunted/eaten by a ghostly Great White. I am also thrilled to announce that Friend of the Blog and actor extraordinaire Tim Taylor stars in Ghost Shark as Deputy Hendricks. (It also features the guy who played Bull on Night Court.) But mainly Tim, who you may also know from an obscure little indie film called The Hunger Games. Will Tim get eaten by the Ghost Shark? Will he return for the sequel, presumably titled Return of Ghost Shark: Back for the Halibut? You’ll have to tune in to find out. For info on Tim, check out his website here. 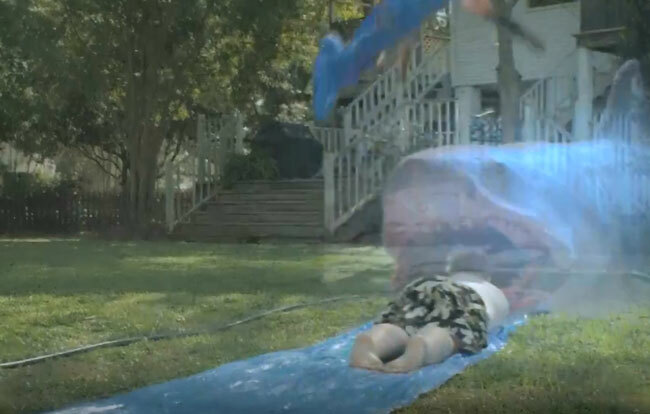 A fat kid rides a Slip N Slide straight into the jaws of Ghost Shark. Because awesome. 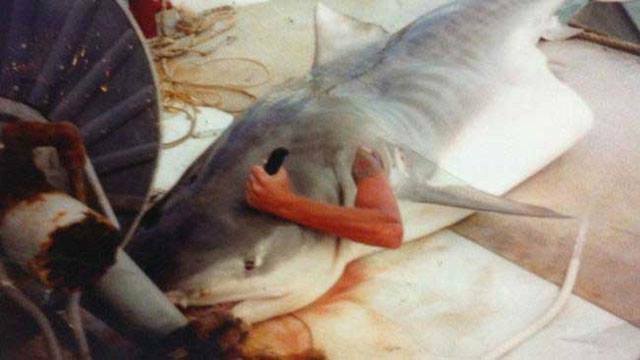 To my knowledge, this is not a scene from Ghost Shark, but a photo that I found when I googled “Ghost” and “Shark.” Perhaps it’s a still from SyFy’s upcoming film SuicidalSharkMan: Nobody’s Chum. Oh Amanda, you are so punny! For the halibut and nobody’s chum! LOL! I’ll be snickering about these for days! You’re the best!